I saw an old Twitter post from MoDad regarding that line "You either die a hero or see yourself live long enough to become the villain." And he asked about how Swat Kats would end regarding this line. My brain jumped directly to the Dark Swat Kats. What if this was them? What if they had tried the hero thing first? 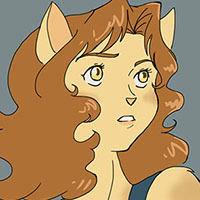 What if they had been Megakat City's saviors before they worked for Dark Kat? What if they had done all that the "original" Swat Kats had done? But something changed. Something pushed them from heroes to something more selfish. What if saving the city wasn't enough? What if Callie's constant work to pick up the slack of Manx's laziness wasn't enough? Razor and T-Bone, even the good ones, have a bit of an ego going. Ego can be a dangerous thing. Revenge and ego can be even worse. Maybe just showing up Feral in the field wasn't enough for them. Nothing they did as heroes satisfied them. So Dark Kat offered them something new and they thought they'd try it. And they LIKED it so much more. Most fans like to think Dark T-Bone and Razor were accidental villains. Something went wrong and they lost sight of the plan. And they regretted it later. What if the Dark Swats looked back and were glad they had changed sides? SPOILER ALERT for Zootopia: This post reveals a major plot twist for that movie which you totally should have seen already. A thought-provoking theory, Ty-Chou! We may never know if it's canon or not, but it has a lot of fanfic potential. Yes, for all the good they do, T-Bone and Razor have the seeds of evil within them--but they're not the only ones. Let's consider the three kats who run Megakat City. Ty-Chou wrote: What if Callie's constant work to pick up the slack of Manx's laziness wasn't enough? Indeed. Good!Callie frequently clashes with Feral over her beloved SWAT Kats, and I'll bet she sometimes resents having to do most of Manx's work for him. If Dark!Callie allowed those feelings to fester, that might have led her to the dark side. To quote another assistant mayor gone bad, Zootopia's Dawn Bellwether: "Underestimated, unappreciated. Aren't you sick of it?" (Admittedly, none of this would explain why she and the evil SWAT Kats hated each other, but that's another story.) But while we've actually seen an evil Callie, her two colleagues are even more deeply flawed. Of course, we almost got an "evil Feral" episode with Lance Falk's original concept for "Cry Turmoil". 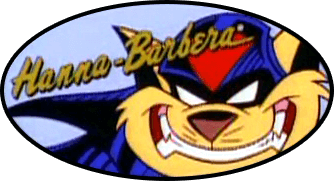 Some Feral fans have claimed it would be out of character for him to go bad, and he certainly has a moral core (as demonstrated in "Metal Urgency"), but consider: he's arrogant and self-righteous, he spends his life being overshadowed by the SWAT Kats, he has a contentious relationship with Callie, and he's openly contemptuous of Manx (and Steel, too). So to me it's certainly conceivable that if Feral had a really bad day, the wrong circumstances might cause him to betray his colleagues. Even if you don't believe he would ever team up with a villain like Turmoil, I can see him going Knight Templar to finally get rid of crime in Megakat City. These are actually some of the themes that Kristen Sharpe and Sage explored in their "They That Walk in Darkness" series, and it was later adapted into a very impressive multi-page comic by one of our former forum members. Though, in contrast with your idea, Ty-Chou, I don't think either of those versions ever established the SWAT Kats as vigilante heroes prior to them becoming villains. As for Callie, a lot of people seem to consider her to be a bit of a villain already , so it may not be that big of a leap. MoDaD wrote: I'm flattered that you took something made in jest for laughs and turned it into a serious topic ... As for Callie, a lot of people seem to consider her to be a bit of a villain already , so it may not be that big of a leap. As long as we're taking things too seriously, I call shenanigans--and not just because Callie is my favorite SWAT Kats character. Yes, some fans have criticized her for being too harsh with Feral--and they may have a point--but a villain, even "a bit of a villain"? Really? How does she qualify? marklungo wrote: SPOILER ALERT for Zootopia: This post reveals a major plot twist for that movie which you totally should have seen already. I am actually one of those people (though I don't consider myself particularly a Feral fan) who thinks it would have been way out of character for Feral to go bad in the Turmoil episode. I think the version of Cry Turmoil that made to to the screen was the better one. It is fascinating that Feral, though disgruntled with many situations and kats around him, is the one who is immovable against temptation. He wouldn't take information from the Metallikats and he wouldn't have gone to the villain side, not even for Turmoil. If the episode had been with Feral instead, I would have expected him to do what T-Bone did, pretend to be on her side while he gathered information, then sabotaged it at the right time. Because what is the alternative? If he was genuinely going to the dark side with Turmoil, that would have finally disrupted the show's status quo. It would have finally had to advance forward and remember things that happened in previous episodes. Feral would no longer be the commander. Felina would be bitter toward her uncle. Feral would be leaving behind not only his integrity that he clearly values, but his blood family and his Enforcer family. While that WOULD be something interesting to see in the show, it doesn't make sense. It wouldn't be a satisfactory change. And I really don't feel like the writers at that time were wanting to make that change in the show either. They seemed to like their formulaic episodes too much. As far as Manx, I've never really considered him corrupt. Lazy, yes, corrupt, not really. I don't think he has the drive or the inclination to actively seek out illegal dealings. The sketchiest thing we see him do is in Chaos in Crystal he and the warden talk about making a profit off of the labor of the inmates as they find crystals. And this isn't necessarily illegal. Privatized prisons will lease out their inmates for work and the prison is the one that sees the profit. I don't think Manx's cut was meant to line his own pockets. Possibly a little? But most of that money would go to the CITY. LIke how he's constantly trying to rent out Megakat Tower. That's not his tower, that's the city's tower. His forte is making money and that money goes to the city. THAT's why he's been elected mayor for ten terms. As to MoDaD's post: Yes, I'm aware of that fic and comic. And it seems to be the consensus that the Dark Swat Kats are ultimately sympathetic villains where their best intentions got lost along the way. For me personally, I don't find that satisfactory, and I certainly didn't see any of that in the Dark Swat Kats when they were on screen. I think they LIKE being villains, and if they were heroes first, they prefer the villain side. I'd like to see someone write them in that kind of light. I could see Feral going to the extreme of becoming judge, jury, and executioner. I'd agree that it'd happen after one bad day (to quote the Joker). He's just been through a helicopter crash, watched dozens of tanks get tossed aside by the bad guy, he's been chewed out by Callie, the mayor, and the news on the scene, but then he goes home, tries to relax, turns on the tube, and every channel is news on either his failure or the SWAT Kats getting heaps of praise. Then he has that moment, finds that fork in the road, and instead of his usual 'I just have to do better next time, and someday I'll remind everyone that the [i, Enforcers[/i] are the real heroes around here', he starts down the other path of 'from now on, no mercy'. As patient as Feral is (if he wasn't, we'd have the no mercy Feral pretty early on), no one can take that kind of scorn forever. Callie, sort of the same thing, but instead of outright going villain, I think she'd get focused and try to become mayor out of spite. She's smart, and knows the SWAT Kats would find a way to stop her if she went obviously evil, but if she were subtle enough, she could win the office, improve the Enforcer budget, get them Pumadyne experimental gear, and eventually let Feral go after our heroes. Done right, they don't realize she's betrayed them, and either hang up their helmets, get caught, or end up in a war with the Enforcers. But only if she saw them as a threat to her plans. Like I said, she's smart, and wouldn't intentionally do something stupid enough to make them a threat. Manx, either he's playing the long game, or his evil amounts to 'I've already got what I want, so why push my luck', so he just schedules another round of golf while he waits for his next paycheck. There's active evil, like the supervillains, or passive evil, like politicians (Manx). Active evil has big, lofty goals, while passive evil finds a good easy payday that requires little work and effort for the most reward (play the charismatic public official and take a little cash out of public projects and squirrel it away with no one the wiser). Manx is lazy, so if he is, or became, evil, I'd say he's already right where he'd want to be. Admired, in control, and already getting plenty of money. Maybe the occasional get-rich(er)-quick scheme or two, but otherwise, why bother with big, elaborate plans, when you get paid to play golf and sweet talk investors? Maybe passive evil, but also sort-of-beneficial evil as well. If his plans work, most of the money still helps the city. Professor Hackle is the one I'd worry about. Like Feral, there's that seed for the Knight Templar just waiting. He wants peace, but there's so much evil in the world. His inventions aren't doing enough to change that, and he's not getting any younger. His genius? Build a robot body superior to the Metallicats, upload his mind, and start making war droids. Slowly build up a huge army, and basically do his own version of 'A Bright and Shiny Future'. He's smart enough that he wouldn't make the same mistakes, and he'd probably create a network and duplicate bodies he could transfer to at a moment's notice. Think Ultron, but with more wisdom, and instead of genocide, he just wants to make the world safer for everyone. marklungo wrote: As long as we're taking things too seriously, I call shenanigans--and not just because Callie is my favorite SWAT Kats character. Yes, some fans have criticized her for being too harsh with Feral--and they may have a point--but a villain, even "a bit of a villain"? Really? How does she qualify? I heard she lied about dying her hair. And she used CFC laden volumizer, depleting the ozone layer - which is enough to get Captain Planet’s attention. Maybe a fashion villain? But in all seriousness, Callie’s not a villain. She’s just the defacto character to point at who epitomizes a number of the often cited maligning of the SK universe during situations that arguably shouldn’t be as stilted as they wind up being. MoDaD wrote: But in all seriousness, Callie’s not a villain. She’s just the defacto character to point at who epitomizes a number of the often cited maligning of the SK universe during situations that arguably shouldn’t be as stilted as they wind up being. If you mean that Callie's the one who supports the SWAT Kats without question, even when they deserve criticism, then you've got a point. She seems to be okay with anything they do to stop the bad guys, no matter how much damage they cause. I wonder why that is--and what, if anything, could happen to make her change her mind? Leon Mane wrote: ...if [Callie] were subtle enough, she could win the office, improve the Enforcer budget, get them Pumadyne experimental gear, and eventually let Feral go after our heroes. Done right, they don't realize she's betrayed them, and either hang up their helmets, get caught, or end up in a war with the Enforcers. But only if she saw them as a threat to her plans. Like I said, she's smart, and wouldn't intentionally do something stupid enough to make them a threat. If dark!Callie somehow crossed over into the main SWAT Kats universe, I could imagine her doing something like this while impersonating our Callie. Great points here. I wasn't seriously proposing Manx as an out-an-out villain; I just find the idea of him secretly being a criminal mastermind all along hilarious. This is another cool premise.